Android in Your Point-and-Shoot: Next Emerging Segment or Fluke? 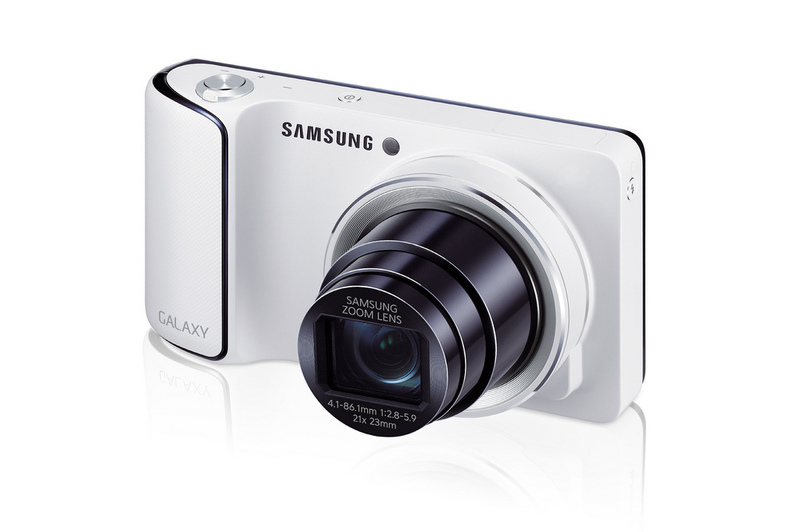 You are here: Home › Android › Android in Your Point-and-Shoot: Next Emerging Segment or Fluke? With the way functionalities are converging in smartphones, one has to wonder if other devices will catch up to the trend. So far, televisions have been getting the “smart” treatment, along with some other household appliances. With the recent announcement of the Android-powered Nikon Coolpix S800C and the Samsung Galaxy Camera, it seems the next trend is to make smart point-and-shoot snappers. Man has constantly made its playthings smarter to make them cooler, to allow them to make life easier, and to integrate a whole bunch of functions into one object. TVs are now smarter, as are refrigerators, washing machines, and even picture frames. While cameras have not been exempt from this movement, it is only now that camera manufacturers have actively sought to integrate a mobile ecosystem into their products. Nikon’s Android-powered camera packs a 16-megapixel CMOS sensor with Android 2.3.3 Gingerbread. It was revealed a couple of weeks ahead of Samsung’s offering, which also has a 16MP sensor but runs Jelly Bean and has 4G capabilities. According to initial impressions of these cameras, they still shouldn’t be counted on to be at par with the image quality of the better compact cameras on the market. They will, however, outperform even the best snappers mounted on smartphones thanks to better sensors overall, optical zoom (10x on the Nikon, 21x on the Samsung), removable memory, and better low-light performance (both sensors are backlit and 1/2.3-inch). The better sensors, bundled with all the photography apps on Google Play, should make for images far superior to ones taken by smartphones while still giving you the convenience of easy sharing via the Internet. What’s the problem with trying to flip the smartphone formula over to point-and-shoot cameras? Here’s one: people might be more inclined to carry smartphones with decent or great cameras than a camera with a mobile OS slapped onto it. Even given how awkward it is to look at someone snapping away using a tablet, that device still offers a whole lot more convenience for the user to justify that kind of thing. Just imagine Skyping using your point-and-shoot, or receiving business calls via the RingCentral app using a compact camera. Cost will also be an issue. The Nikon is slated to hit retail at a whopping $350, and while the just-announced Samsung alternative doesn’t come with any pricing details yet, expect it to fetch for smartphone-like sums. Would you really spend that much money on a camera that doubles as a smartphone? Right now, the better option would be to go for flagship smartphones with great camera performance. Even a tablet should be more worth your money, unless you’re really after the camera functionality. In addition to that, there might be some logistical issues that could prevent this segment from catching on. For one, these cameras sport big touchscreens and have multiple connectivity options—both factoring into considerable battery drain. The S800c, for example, tested at a mere 140 shots for a single full charge—that’s really not very ideal especially for prolonged outdoor excursions. Another issue is that these initial models are bulkier than today’s common compact cameras. So far, there are only a couple of offerings in the smart camera department that are truly smart. It’s more likely that this segment ends up as one that had oodles of potential, only to fall by the wayside because of the sheer convenience and raw power that only the smartphones of today and tomorrow provide. That’s not to say people won’t give this segment a chance—the S800c and Galaxy Camera are just the vanguard, and chances are that the best of this bunch is yet to come. Next Entry: If You Site Crashed, Are You Ready to Face It Up? Next Entry If You Site Crashed, Are You Ready to Face It Up?